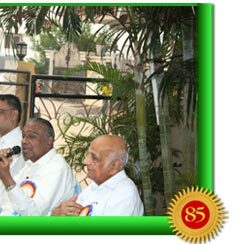 The last two issues in this series outlined how Bhagavan’s compassion brought clean drinking water to millions struggling in the parched areas of South India. 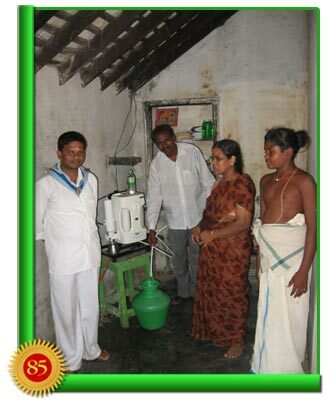 By November 2006, the water projects in the Godavari districts of Andhra Pradesh were completed. Although Baba was pleased with the progress, He was not completely satisfied. The lack of drinking water was definitely a problem, but not the only problem besetting the poor. 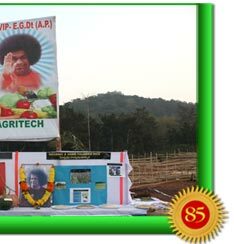 It was in March 2007, during the celebration of Ugadi - the Telegu New Year, that Baba declared: “On this sacred day of Ugadi, we are launching a new project for the betterment of the villages. 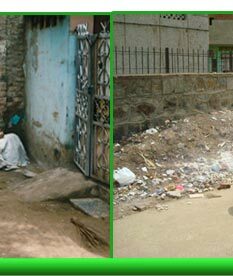 Every house in every rural hamlet should be made clean, inside and out. The children should be groomed to become clean and healthy individuals. “Therefore, efforts should be made to develop the villages in all possible ways - the elders and the children, the rich and the poor. All should work in unity to make this project successful. This was Bhagavan Baba’s clarion call from which was born the Sri Sathya Sai Village Integrated Programme. Generally referred to as the SSSVIP project, it aims to ensure the holistic development of every family in the village, and ultimately the village as a whole, the town, the district and the State. Through the SSSVIP programme, Bhagavan redefined grama seva or village service to make it more holistic and total, unlike the manner in which it had been conducted until then. 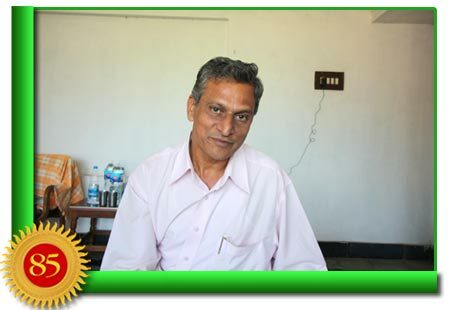 Mr. Koteswar Rao, an active Sai worker, has been deeply involved in the implementation of the programme in the East Godavari district. 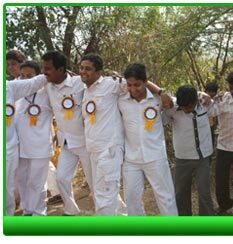 He says: “Our sevadal volunteers went into the deeper forest areas to each and every village in the East Godavari district. We prepared a Village Development Index, and with this in hand touched almost every hamlet and settlement. Then looking at this index, we prioritised the villages that needed our attention first. We identified about 142 villages, which required immediate service. Since it is difficult to simultaneously serve all these villages because of limitations in manpower and other resources, we decided to take 25 villages as our chief areas of operation to begin with. “And these, mind you, are from the remotest part of this area where the condition of people is extremely poor. There are no roads to reach these regions and one may traverse only by walking. Not a single doctor has ever visited these people that have empty buildings originally meant for schools. We were shocked to see families who barely had clothes to cover themselves adequately. They burnt down forests and grew paddy and ate whatever they could produce. Often they went hungry for days. 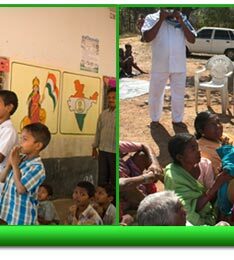 The first of the primary areas of service mentioned by Mr. Koteswar Rao begins with individual care: the eradication of malnutrition and raising the standards of personal hygiene. Mrs. Venkatagiri, from Kundhada, one of the 25 villages, shares: “The Sai Baba sevadals have helped us so much. Earlier, busy in our daily work, we neither knew nor cared about cleanliness. We did not give our kids a shower every day. Once these people came, they gave soap and clothes for our kids and cleaned their nails. They taught them how to be neat, and began to educate them. They have indeed served us in so many ways. At about an hour’s drive on undulating mud roads is another adopted village, Musuru. The visits of the sevadals have now turned into a much anticipated occurrence for the villagers and excitement around these days heightens visibly among them. This is the profound and powerful impact of the SSSVIP. And this has not happened in just one or two weeks. It is the fruit of persistent and tireless efforts of hundreds of sevadals for months together. Gunaranjan is one of the sevadals. He has continuously been teaching the little children of the village Sunnampadu for several weeks. 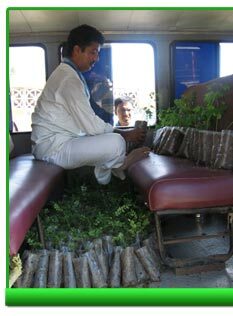 When questioned on his experience, he enthuses: “I come every weekend to conduct Bal Vikas after a five-hour bus journey from my town, Amalapuram. Initially, when I saw these rural children, I had my own doubts if they would ever understand and absorb anything I taught. But I feel Swami has reached this village much before us. That is because these children are learning faster than I had expected, which is purely due to His grace. The excellent response that I receive from these children makes me forget the pain of travelling five hours each way to commute to this place. “In the beginning, even the parents of these children were sceptical of our efforts but once they saw the change in the behaviour of their children, they extended complete cooperation. Mrs. N. Lakshmi, a Sai worker, who has dedicated herself to serving the poor rural folk, shares her story of how she helped improve the livelihood of a few families: “We were able to educate the children about cleanliness, but we also wondered how we could help better their economic condition. I asked them how stitched their clothes. They said that they would visit a fair in a nearby village and paid a high price to the tailor there. Immediately, I offered to teach them the skill in my own town. Initially, they were hesitant. I requested them to come to my home at least once and try learning the profession. I told them it was fine if they didn’t wish to take it up further. Ms. Suryakumari, a young lady whose life has been remade after she took up tailoring, shares: “Now, with this machine, given by Sai Baba, we do not have to go anywhere for our clothes. Not only are we able to stitch our own garments at no cost, but also are earning money by doing this for others. This has certainly improved the financial condition of our family. Not only are these village folk grateful, they extend every kind of cooperation to the Sai volunteers to accomplish the goal of village improvement. 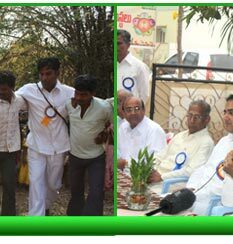 In the village G M Valasa, a village elder Sathyanarayana Reddy donated his land to construct a community hall for the villagers. What inspired him to make such a contribution? 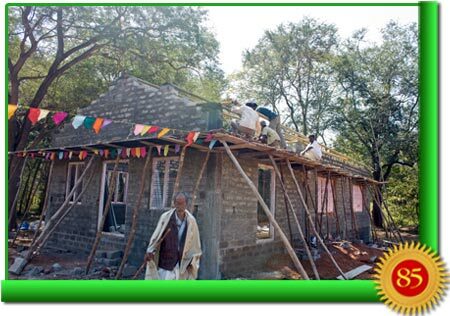 The Sai workers are constructing similar community halls in every village or cluster of hamlets. The premises are utilised as a place to conduct Bal Vikas classes for children, organise medical camps, conduct marriages, and celebrate festivals. 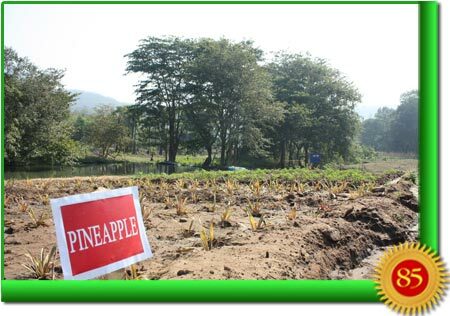 The tribals in these 25 selected hamlets are also being instructed in new forms of cultivation. The old form or podu cultivation required old plots to lie fallow while new ones were sought, which resulted in the destruction of forests. Today, the locals have learnt how to harness the available water resource and rotate their crops. From individual and education care to agriculture and infrastructure care, the development in these 25 villages has been holistic and dramatic. Today, 70 of the 212 villages, where the SSSVIP has magnificently metamorphosed rural lives, have permanent roads. One feels compelled to think how wonderful it would be if the SSSVIP took off with similar dynamism and effectiveness in every village in India! The same thought was what prompted the All India President of Sri Sathya Sai Seva Organisations, Mr. V. Srinivasan to conduct the Sai Youth on a guided tour of the villages. 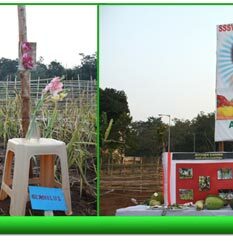 On 28 February 2009, 40 young people representing different parts of India - from Manipur to Maharashtra, and from Kashmir to Kerala - gathered in the East Godavari city of Rajahmundry. Addressing these youth before the commencement of the tour, Mr. Srinivasan said that Baba’s mission is to restore India and its people to the glory which was Bharat. He added: “India and its culture will provide the light and leadership to the world. The responsibility is on the youth, who are and will be the agents of change. “This is a festival of love. Let us look on this visit as a celebration of love – where eternal love radiates from each one of us into these villagers. And we learn from them. There is much to imbibe from them. “Every time I go to different parts of India, I discover so much from them. One has to keep one’s eyes, ears and heart open. We think they are unlettered, but truly they are educated in the real life. We are taught in the living, not in the real life. 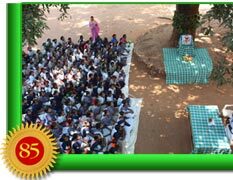 Shortly after Bhagavan’s call creating the SSSVIP programme in March 2007, Sai Youth, seeing the condition of the poor, the needy and the destitute in various parts of India, sprung into action. 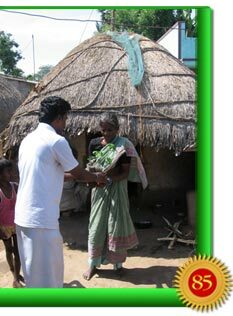 In June 2007, another group in Tamil Nadu, found the residents in numerous villages and hamlets surrounding Kancheepuram in destitute conditions. They lacked potable water and had inadequate learning supplies for their children and scant employment opportunities for their youth and women. As was done in the Godavari districts of Andhra Pradesh, the SSSVIP members in Tamil Nadu conducted a survey to determine the specific needs of the residents of Kancheepuram prior to initiating action. 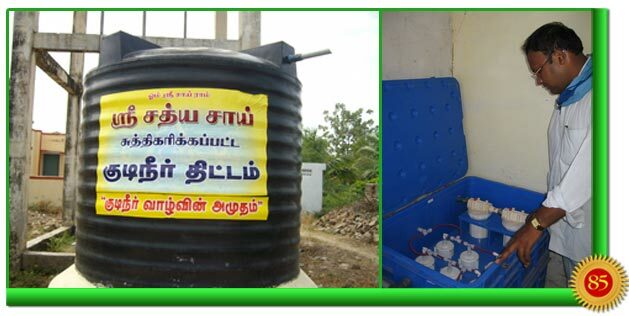 Consequently, they brought in water purifiers and installed them in strategic locations at the villages. Addressing the issue of malnutrition of the villagers due to poor diet, the sevadals brought in saplings of fruit trees and distributed them among 700 families. 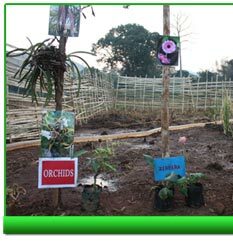 As a follow up to the project, the Sai Youth visited these villages every weekend to ascertain that the plants were cared for and growing well. Presently, these saplings have grown into healthy tall trees yielding coconuts and fruits. School supplies were noticeably absent, so free notebooks and dictionaries were procured and distributed to all the children in the 21 villages deemed in need of this service. From the nuns at the local convent to the church pastor and the priest of the local temple - the entire community was moved by the love, thoughtfulness and generosity of the Sai volunteers. They had never before seen an effort so well thought out and enormous. A youth team member commented: “The entire organisation threw its weight behind our effort to prepare food hampers for every family in the region. 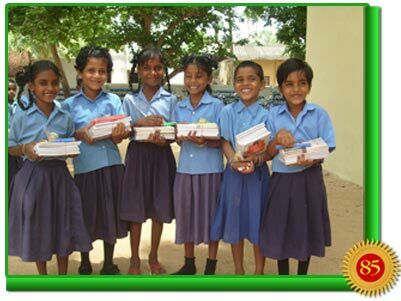 As a result, every home in these areas received the food packets along with a photo of Bhagavan, a vibhuti packet and Sai Protein, a grain-based nutritional supplement. We also distributed tricycles to physically challenged persons at their very doorstep, enabling them to be mobile. The service projects have not only changed the villages, but transformed those who were involved in the endeavour of transforming. One volunteer who has been a part of the projects from its early stage said: “The initial phase of the water purifier installation lasted for four days. I was assigned to oversee the work of the plumbers. During our interactions, I used to talk about Swami, His mission, and all the Sai service activities undertaken worldwide. “However, during this period, I was away from my family and felt deprived of proper food and sleep. There was a time when frustration took over and I wondered if my involvement was a waste of time. At times I would think that instead of doing this I could have been home with my family, taking care of my business and making money. “During one of those moments when I was assailed by such thoughts, two of the plumbers approached me. One of them said, ‘I am moved by all that you are doing for the society. I feel I have wasted my life doing wrong things and have not really been useful to anyone. To begin with, Sir, I take a vow that I will not smoke henceforth’. “This brought tears to my eyes. Not just him – the other plumber came and gave me a hundred rupee note and said, ‘Sir, please use this small amount towards anna danam or the feeding of the poor. I want to do my bit towards these noble activities that you are doing inspired by Sai Baba’. 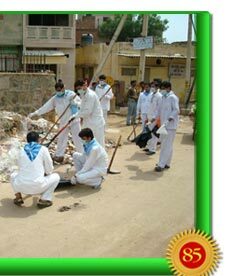 On 8 June 2008, a similar programme of service was conducted by the Sai youth of Delhi. People living in squalor in a village named Matiyala, within the confines of Delhi, were identified. While conducting a survey of the area to determine the service that the people needed, the Sai youth decided to clean the piles of trash and debris near the homes of some of the families. 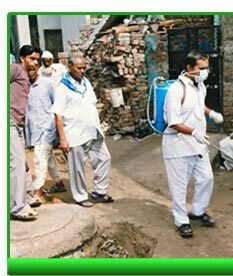 While some team members cleared out the trash and sprayed insecticides to eliminate the mosquitoes in areas of standing water, the others went about the neighbourhoods distributing chlorine tablets for the purification of drinking water and help spread awareness on health and hygiene. Convinced of their good intentions, the villagers subsequently began to participate in the service, welcomed the advice given, and hoped that future visits of the sevadals would take place. Speaking on the subject of seva, Baba says: “Before embarking on a service project, one must examine his internal equipment: whether his heart is full of selfless love, humility and compassion; if his head has an intelligent understanding and knowledge of the problem and its solution; whether his hands are eager to offer the healing touch, and finally, if he can gladly spare and share time, energy and skill to help others in dire need. 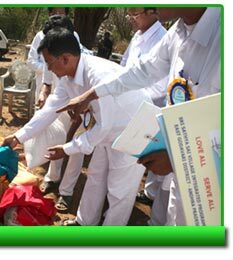 Those engaged in any kind of seva activity have undoubtedly taken to heart Bhagavan’s prescription for service.